Osako has five goals and three assists to his name this season. Augsburg and Cologne are both looking to bounce back to winning ways when they go head to head at the WWK ARENA on Saturday afternoon (kick-off: 15:30 CEST/13:30 GMT). Click here to make sure your Official Fantasy Bundesliga team is in order for Matchday 29! Raul Bobadilla is still doubtful for 16th-placed Augsburg after missing the 2-0 defeat at Hertha Berlin with a calf problem. Dominik Kohr should anchor the midfield in his first game since it was announced that he will be joining Bayer Leverkusen next season. 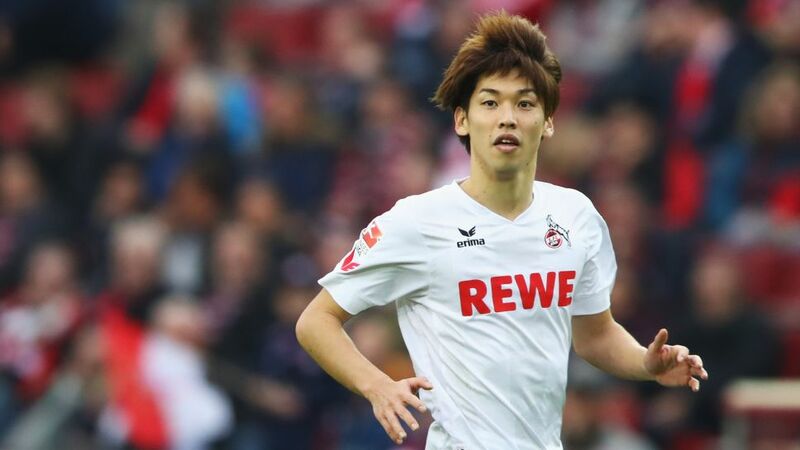 Cologne boss Peter Stöger has spoken of how important it is to have Yuya Osako back and the Japenese attacker should return to the starting line-up after being sent on at half-time in the 3-2 loss against Borussia Mönchengladbach in the Rhine Derby last time out. Watch: The first 22 of Modeste's 23 goals so far this season! In all 12 games after the winter break, Augsburg have fallen behind. However, Augsburg have still managed to score points six times.Only against Frankfurt do Augsburg have a longer undefeated record (eight matches) than against Cologne (six matches).For the first time in three and a half years, Augsburg have lost three Bundesliga games in a row. They have now gone six games without a win.Anthony Modeste has scored 23 goals this season, and is accountable for 58 per cent of the Billy Goats’ goals. No other Bundesliga player is responsible for a greater proportion of their club’s goals.Modeste has not scored in any of his seven encounters against Augsburg. Against no other Bundesliga club has he played so often without scoring a goal.Cologne have been defeated five times in the Rückrunde so far, two more than the entire first half of the season.